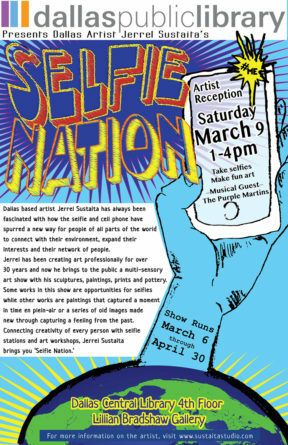 Dallas Public Library presents Dallas based artist Jerrel Sustaita in Selfie Nation. an art show by Jerrel Sustaita Dallas based visual artist Jerrel Sustaita has always been fascinated with how the selfie and cell phone have spurred a new way for people of all parts of the world to connect with their environment, expand their interests and their network of people. Come and Meet the Artist at an exhibition Featuring Magical Works on Canvas and Original Limited-Edition Prints. SEASON’S GREETINGS from Martin Lawrence Galleries Dallas. We welcome you to join is this December in celebration of ERTÉ, THE FATHER OF ART DECO. Enjoy an evening viewing works by Erté with wine, food, and music. Erté and Roaring Twenties-inspired costumes are encouraged. Artist Rene Rocha presents Waves: A pictorial presentation of his journey into Fatherhood. Opening reception June 1st from 6pm to 9 pm at the Fort Worth Community Arts Center, located in the Cultural District of Fort Worth, Texas. The exhibition will feature all new paintings full of bold color, and energetic brushwork. An upcoming exhibit ‘Targets and other Tangents’ at theGallery8680 includes ‘Targets’ and new works from Carver’s new series ‘Shadows’. 8680Gallery is one of Frisco’s oldest art venues, located on Main just east of Preston road. Please join Art Is Life Studio for Art in Grief, an event artfully honoring the grieving process from 6-10 p.m. April 21 at Yeager Office Suites of Plano. Just in time for the holidays, Artists’ Showplace Gallery presents a double-feature weekend. The merriment begins with our annual Holiday Jewelry Trunk Show on Friday, November 11, from 5:00 to 9:00 p.m. 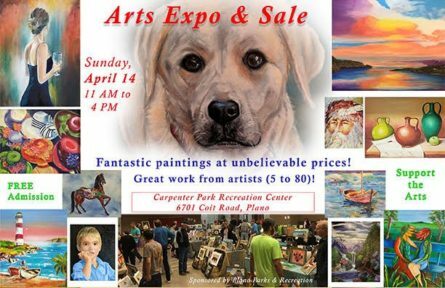 Featured jewelry artists will be on hand to show their latest work. Wine and hors d’oeuvres will be served. Join JM Gallery Saturday, November 5th from 5 until 8 for an opening reception featuring work from Jay Bailey, Doug Gray, and Susan Perkins. The FWCAC hosts an exhibition of new work by Mark Renner, October 4-29, 2016. There will be an opening reception Friday, October 7. THE EXHIBITION OPENS SATURDAY, SEPTEMBER 24AND CLOSES ON SATURDAY, NOVEMBER 12, 2016. A RECEPTION HONORING THE ARTIST WILL TAKE PLACE ON SATURDAY, SEPTEMBER 24 FROM 6 TO 8PM. Opening Reception for Photographer Lily Mirsky. Hear her inspiring story of coming to this country with nothing and becoming the amazing photographer she is. Be drawn into her beautiful, soulful works as they speak to your heart. Open call for all artwork pertaining to music and automobiles. Submissions can be emailed to kamme_art@yahoo.com or brought by the gallery at 304 Bolivar, Sanger, TX 76266 through Aug 1. Photographs, paintings, sculptures, accepted. Exodus at LuminArte Gallery explores concepts related to diaspora, delving into issues of immigration, political exile and cultural identity. LuminArte presents an international exhibition of paintings, photography and video ranging from plein air compositions to surreal landscapes and architectural abstractions.